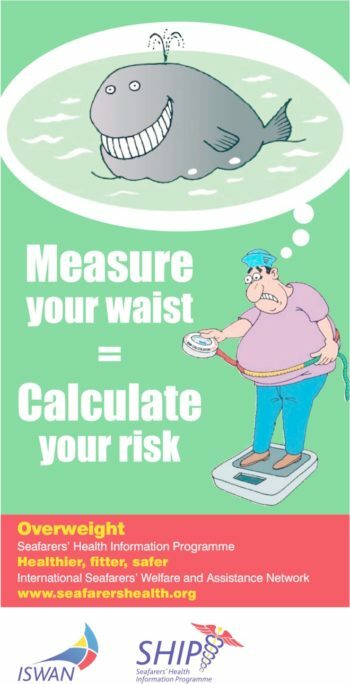 Overeating and lack of physical activity increase the risk of being overweight on board. 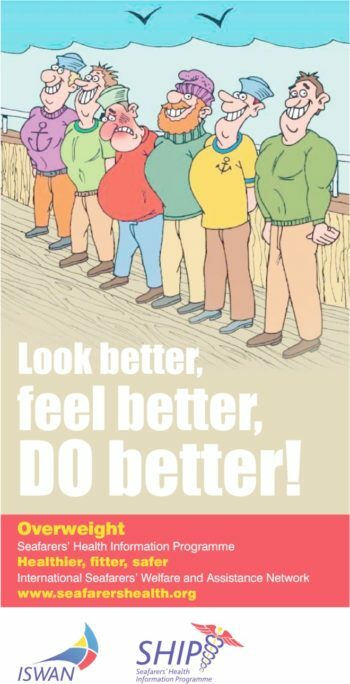 Being overweight can lead to chronic health problems, including: hypertension, diabetes, coronary heart disease, stroke, gallbladder disease, osteoarthritis, respiratory problems, sleep apnoea and endometrial, breast, prostate and colon cancer. 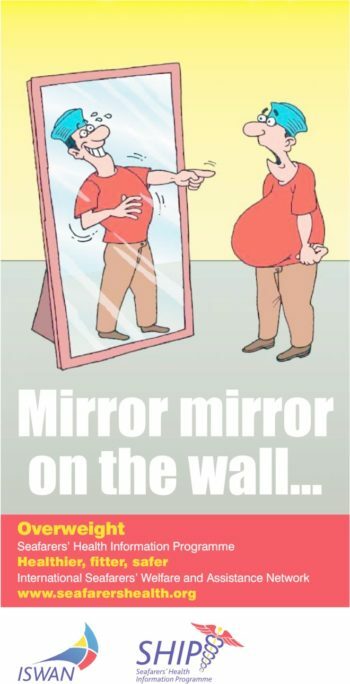 People who are overweight are at greater risk of dying prematurely from chronic health problems. 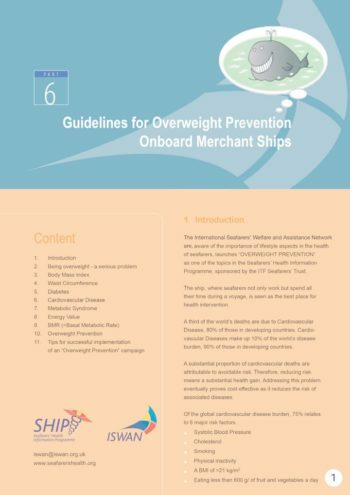 It is important that seafarers have the tools needed to control their weight and prevent or reduce excess weight on board. 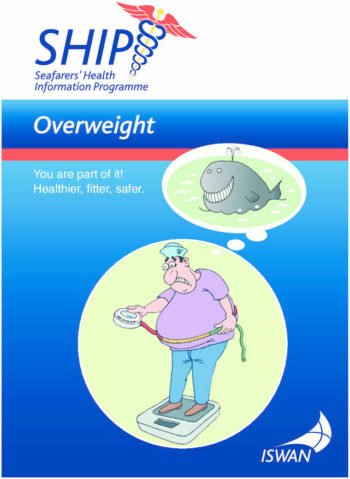 Our resources include a guide for seafarers, guidelines for shipping companies on overweight prevention and a range of posters encouraging seafarers to manage their weight.